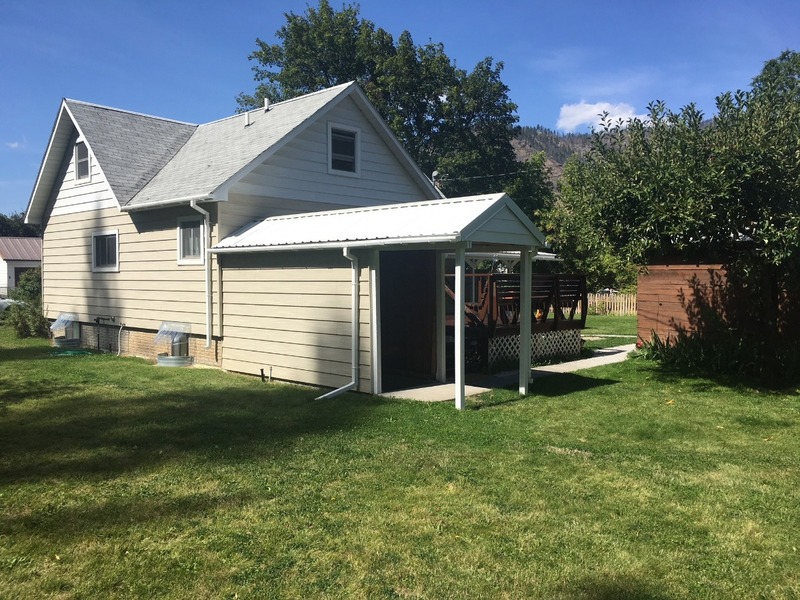 Cute 2 bedroom, 2 bathroom home for sale in Superior, Montana! The estate sits on two lots and features additional bonus rooms inside. Everything is located near the Eva Horning Park, Clark Fork River, restaurants, schools, and Quinn’s Hot Springs and Resort. Inside the home you will find one bedroom on the main floor with a nice bathroom, living room, kitchen, dining room and laundry room all on the main level. The upstairs has a bedroom, storage space and sewing room or office space. The basement has a bonus room (no egress windows), bathroom, utility room with pantry space, and additional space for a family room or sleeping area. The basement is heated by a new freestanding propane heater. There is an exit to the outside just up a covered stairway. A nice sitting deck and covered patio with nice landscaping, garden space and RV hookup. Park in the detached garage. Private in-town living. 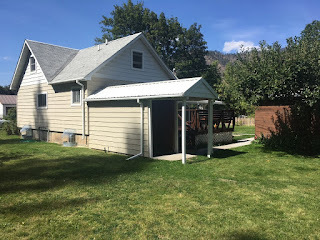 Call Bessie at Spangler Real Estate at 406-822-4415, for more information or to schedule a showing. #408 Alder Street Superior, MT 59872. Priced at $132,000.